Huddersfield Town Hall plays host to the UK’s largest singing competition for Open Mic UK, when the competition visits Huddersfield as one of its many locations nationwide. Huddersfield Town Hall has proven to be an excellent live music venue for Open Mic UK and singers revel in the opportunity to perform in one of Huddersfield’s best live music venues! Huddersfield Town Hall is a spectacular concert hall which seats up to 1200 people and hosts numerous events ranging from classical to comedy and from choral to community events. Many of the rooms within Huddersfield Town Hall offer 21st Century comfort, style and technology in beautiful Victorian surroundings. The Huddersfield live music venue was designed by John H Abbey and was built in two stages between 1875 and 1881. The first section of the building opened on the 26th June 1878. The second section of the building was opened in October 1881 and comprised the Concert Hall and the Magistrates Court. Huddersfield live music venue Huddersfield Town Hall has been used for numerous live broadcasts and recordings of classical and choral music due to its excellent acoustics. Show our judges what you are made of! 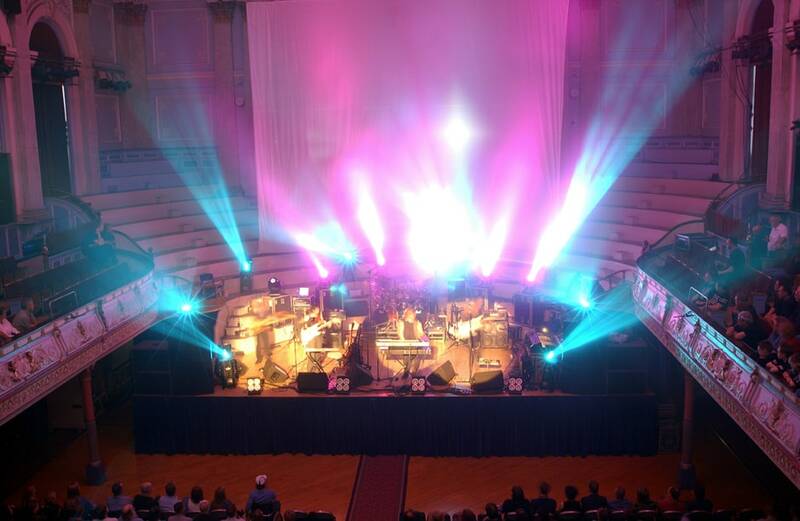 Performing at Huddersfield live music venue Huddersfield Town Hall will provide an exhilarating experience for Open Mic UK entrants, creating an exciting environment for competitors to show the judges what they are made of! By showcasing your talent through singing competition Open Mic UK, acts will have the chance to perform in front of huge live crowds and industry judges which in past competitions have included DJs who work for Kiss FM, Choice FM and BBC Radio, record labels and celebrity judges (with judges getting more prestigious as the singing competition progresses).